SUPER HIT! Cheap flights to Mexico: Cancun for €203! UPDATE 28.4.: more dates again for amazing price – last minute departure already tomorrow 29.4. for 1 or 2 weeks from Newcastle to Cancun for €203! UPDATE 22.4.: new dates available for same good price! London-Cancun (25.4.-9.4.) or East Midlands-Cancun (24.4.-7.5.) for €203! It gets better day by day! Prices of flights to Cancun are on historically lowest price now! 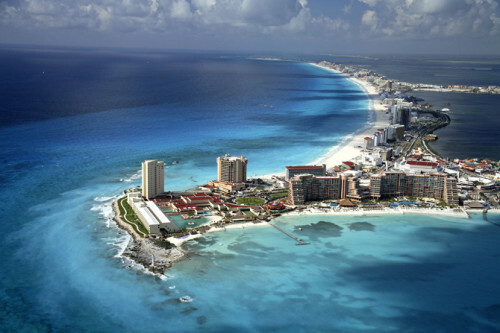 Return flights from Manchester to Cancun are now available for a real bargain, just €203 / 169 GBP! Departures from London Gatwick are also possible from 199 GBP! « Cheap flights to California: San Diego for only €473!